Below are all of the questions we could remember having been asked in the past. If you have a question that's not on here, please feel free to email eddieculen@alivenetwork.com or call Alive Network on 0845 118 5500. Can I pick the live music playlist? Is the video on your website a true reflection of a real live performance? Can my sisters/bosses/daughters dog sing with you? Why should I book Eddie Cullen? How much does it cost to book the Eddie Cullen - The Voice Of The Legends? Do Eddie Cullen - The Voice Of The Legends have any specific requirements? What is the PA power requirement? I’m more than happy to accommodate timings to suit your special event. In my experience, the best way to make my performance really memorable for you & your guests is two forty five minute sets, with a half hour break between. Of course this is flexible & can be extended but bear in mind, the old adage remains true: Always leave them wanting more! Should you need me to be set up & ready some time before (for example 4 hours) before my actual performance, there will be an additional charge. Also, if you need a long gap between the first & second set this will also attract an additional charge. Clare, Gemma or Marc at Alive Network will be happy to assist you with exact costing’s for your particular event. My number one aim is for you to be delighted with my performance! A large part of this is of course, choice of material. I’m very happy to sing specific requests (including requests from guests on the day/night) however it’s probably not a great idea to pick out my entire playlist as this gives me little room for manoeuvre if, for example, the dance floor is full but the majority of songs left on the playlist are ballads! As a guide, I find what usually works best is classic crooners (The Rat Pack, Nat King Cole, Michael Buble’ etc.) in the first set and more up-tempo “party” material in the second set (Elvis, The Everly Bros, Tom Jones etc). I am able to travel both UK wide and internationally. Unfortunately, due to the nature of the majority of my work (weddings, private functions, corporate events etc.) it’s unlikely you’ll be able to see me playing live before your event. By definition, my act is pretty much “what it says on the tin” “The Voice Of The Legends” and as you will have already seen, my set list is pretty extensive. However, if there is a particular song by any of the artists listed on my website, or something that fits into that genre, I would be very happy to look at it. Whilst I don’t actually DJ in the traditional sense between sets, I do have DJ software to play “unbroken” mixes of a wide variety of genres, from the sixties, soul & Mowtown through to the present day. If you have a particular choice of music you would like to hear between sets, I’m happy to plug your iPod into my system. Absolutely – just remember to hold the microphone close to your mouth when speaking and whatever you do, don’t drop it or wave it in front of the speakers – or you will almost certainly find yourself at the centre of some very unwelcome attention from your guests! Feedback is one of the most unpleasant sounds known to man! I have 2 x 550 watt powered speakers, compact mixer with on-board effects, wireless microphone (plus various high end “wired” mics) and laptop. No, although fully digital lighting can be arranged for an extra charge. Two hours is just about maximum playing time, though as already stated, I find two forty five minute sets usually works best. I’m happy to accommodate start/finish times for your event. Average set up time is around thirty minutes. Unfortunately, I can only accept confirmed bookings. N/A However in the very unlikely event that I am unable to fulfil my commitment to you due to illness, road traffic accident etc., you have the total peace of mind of knowing the world’s largest online entertainment agency The Alive Network will do their very best to provide you with a first class replacement act. What will the you wear? I always wear a really smart suit and tie/bow tie depending on the occasion. Organizing an event such as wedding can be extremely stressful and booking the right entertainment package is certainly a large part of that. Simply because getting it wrong can have a really adverse effect on the whole day. As you will see from my previous client feedback, if you book “Eddie Cullen – The Voice Of The Legends” for your event, both you and your guests are guaranteed a night to remember! Highly accurate vocal impressions of some of the greatest singers the world has ever seen, combined with great showmanship (some of your guests will almost certainly find themselves being personally serenaded at some point! But beware……the host is very often “victimized” first!) and a highly professional approach to every aspect of the booking - from the initial enquiry through to the final song of the evening, you’ll have total peace of mind that you have made the right choice! How much does it cost to book Eddie Cullen - The Voice Of The Legends? Cost depends largely on the location of your event and what options you may want to add (lighting etc.) However as a guide, my average fee for bookings in the last 12 months was £530. 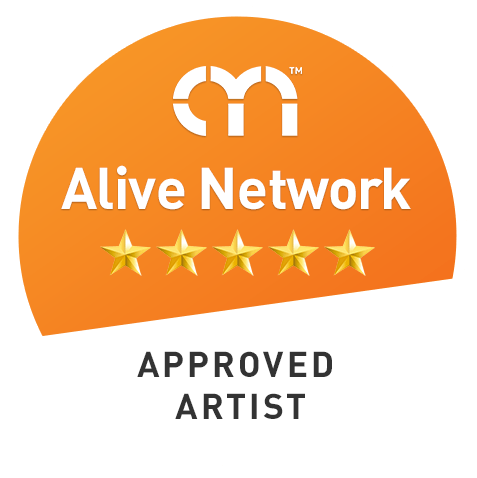 There are many customer reviews available to view on this website and also on my profile on The Alive Network website. Does Eddie Cullen - The Voice Of The Legends have any specific requirements? No specific requirements other than a secure changing room (preferably not a toilet!) with a mirror. My own PA system can comfortably handle a 300 guest venue. However if the venue has a suitably powerful installed sound system, there is literally no limit to the size or type of venue I can play at. I will always do my best to ensure the volume is kept to a level which you and your guests are happy with (the last thing I want are guests screaming at each other!) One thing to bear in mind however is; live music is not the same as pre-recorded music! If you turn it down too far, not only does it have a very adverse effect on the sound, it also has no impact at all and pretty much defeats the object of having live entertainment in the first place!